Schengen is the most popular destination for travelers from around the world. However, visa application procedure for Schengen is amongst the strictest procedure. This post will show you how you can use Flight and Hotel Itinerary from getitinerary.com and have your visa application approved. WHAT IS FLIGHT & HOTEL RESERVATION(OR DUMMY TICKET) FOR SCHENGEN VISA APPLICATION? We get this same question all the time. A Flight Reservation, also known as "Dummy Ticket" is a reservation or an electronic itinerary which is issued specifically for visa application purposes. This itinerary will contain the traveler's information, departure, and destination country, along with outbound and inbound dates. It also outlines flight information and duration, but this isn't a confirmed or actual ticket that can be used to board the plane. It is a great help to travelers for their visa application purposes since we do not know how long the visa application process could take. This eliminates the risk of losing your actual ticket if your visa application process takes longer or disapprove. WHICH COUNTRIES CAN YOU VISIT WITH SCHENGEN VISA? If you planning your first trip to Europe, the information below will help to keep you on the right track. There are 26 countries in the Schengen region. One Schengen visa gives you access to all these countries without borders restriction. Below is the list of countries you can travel with a single Schengen visa. Here is the list of required documents that need to be included with your visa application. Some may vary from one to other countries you apply for your visa from. WHY DO YOU NEED A FLIGHT & HOTEL RESERVATION FOR SCHENGEN VISA APPLICATION? Round trip flight and hotel reservation is a mandatory requirement for Schengen Visa Application no matter which country's embassy you apply for your Schengen Visa. The embassy needs to ensure you have the plan to return to your origin country and have no intention to stay behind illegally. To fulfill this requirement, you either have to purchase a full price actual ticket or to purchase flight and hotel itinerary for Schengen visa application from getitinerary.com. The full price ticket carries a risk of losing your ticket if your visa application process is delay or disapprove. Some promotional tickets are not refundable, with few may offer cancellation with fees. With the flight and hotel itinerary for Schengen visa application from getitinerary.com, you don't have to pay for full price ticket in advance, but you also have the flexibility to change your travel dates after your visa application is approved. having how uncertain a visa application process could take, this is clearly a safer option than buying a full price ticket. HOW TO GET A FLIGHT & HOTEL RESERVATION FOR SCHENGEN VISA APPLICATION? 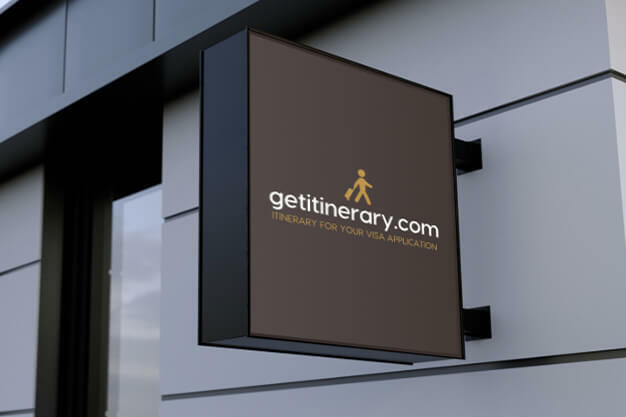 With getitinerary.com, everything has been developed and curated to simplify your experience to obtain flight and hotel reservation for Schengen visa application or also known as "Dummy Ticket". The platform is integrated directly with the airliner, given the ability to issue and deliver your itineraries instantly. No old fashioned long form to fill, no waiting for an email, and no extra payment for express delivery. Your itineraries will be ready for you to download right after payment complete. The entire process takes less than 5 minutes, and you'd be able to obtain your itineraries for Schengen visa application instantly. It's that simple, what are you waiting for? If you not happy with the service, we refund your money, no question ask!